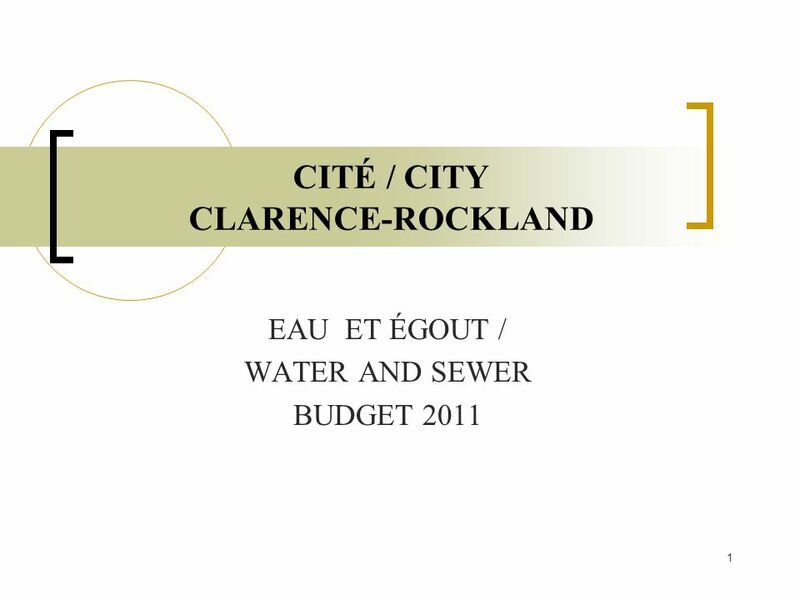 1 CITÉ / CITY CLARENCE-ROCKLAND EAU ET ÉGOUT / WATER AND SEWER BUDGET 2011. 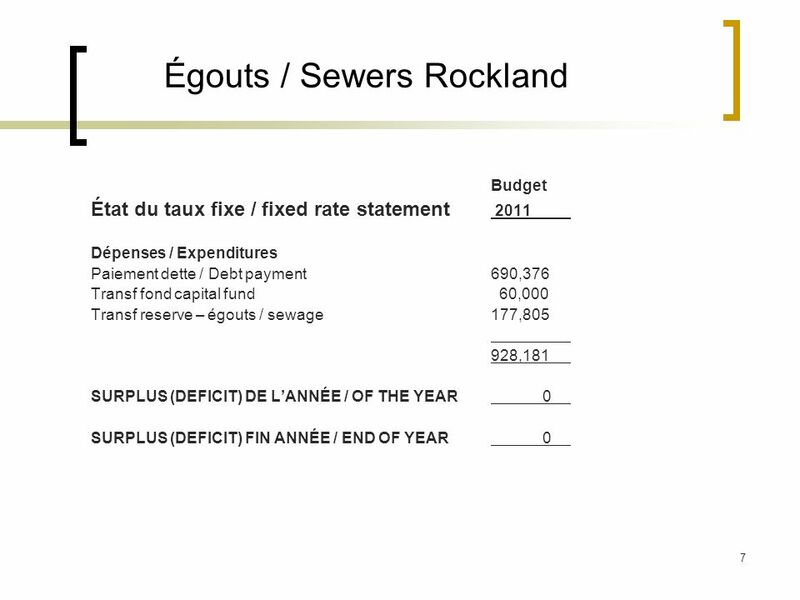 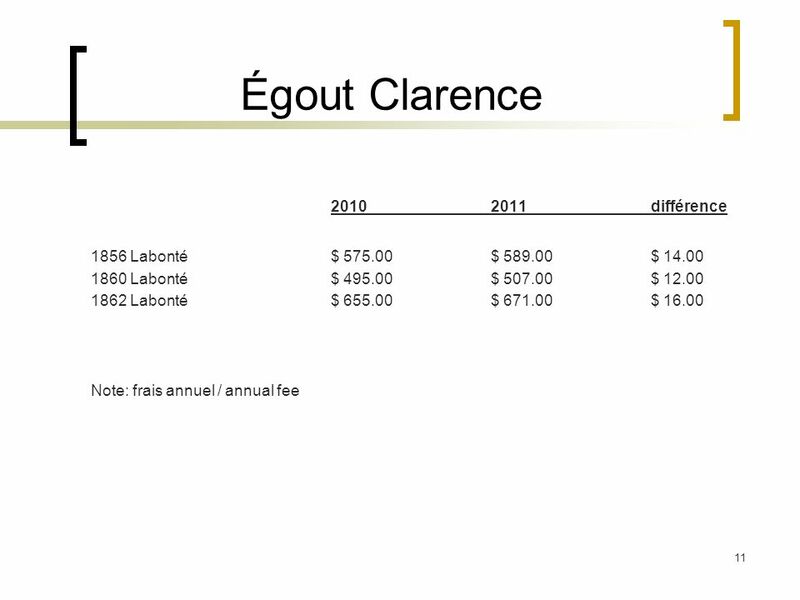 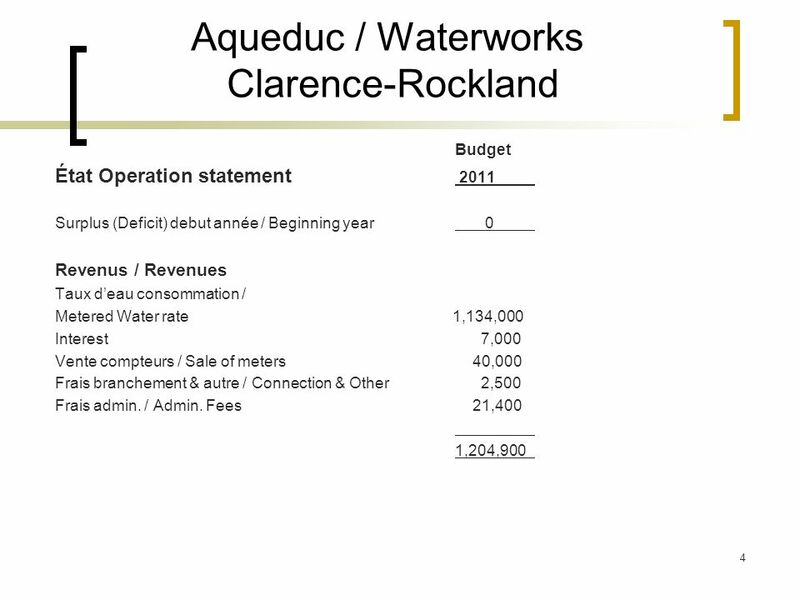 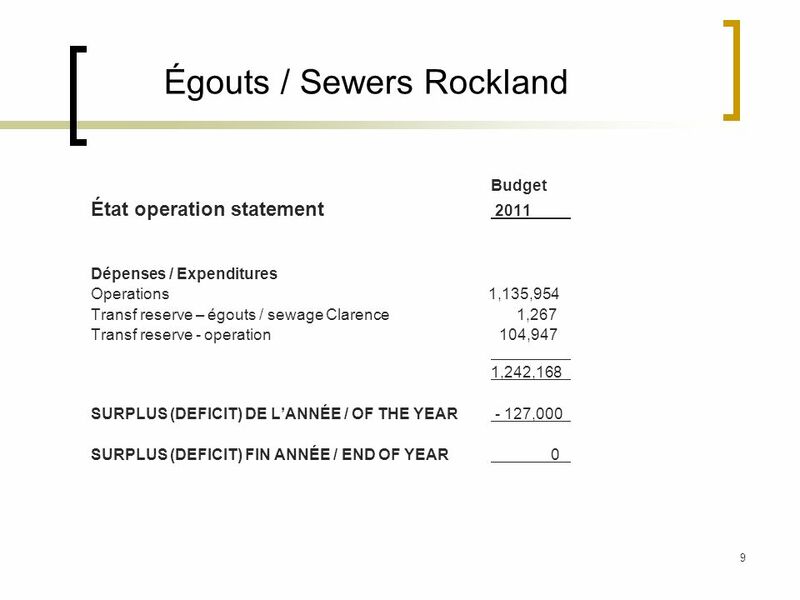 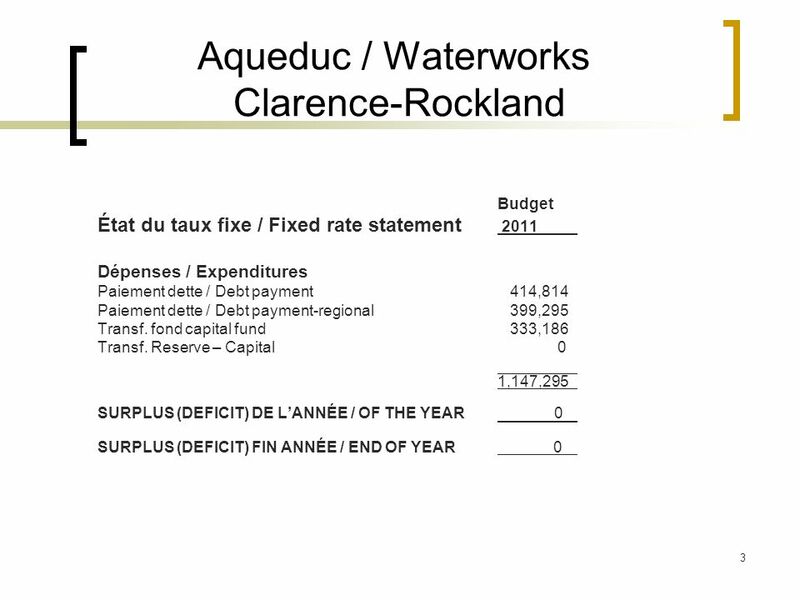 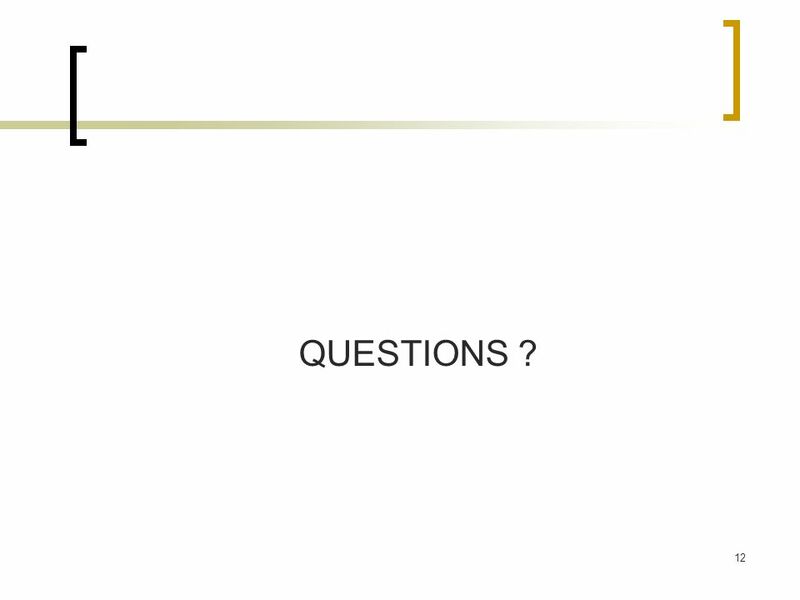 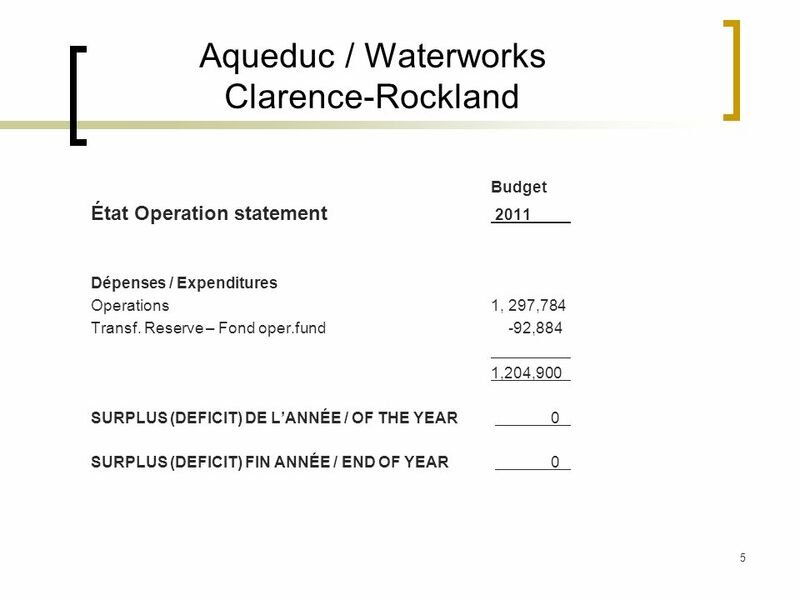 Download ppt "1 CITÉ / CITY CLARENCE-ROCKLAND EAU ET ÉGOUT / WATER AND SEWER BUDGET 2011." 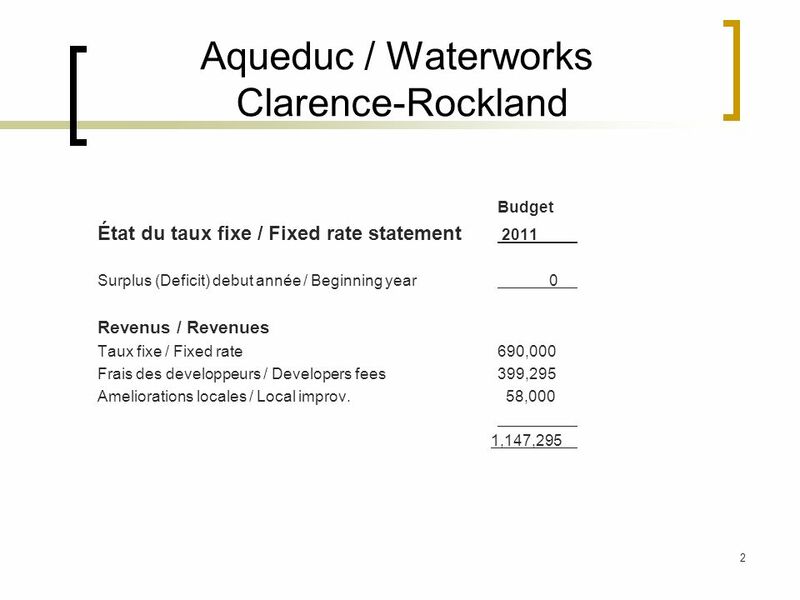 Vote Toronto 2010 Scarborough Town Hall March 5, 2010. 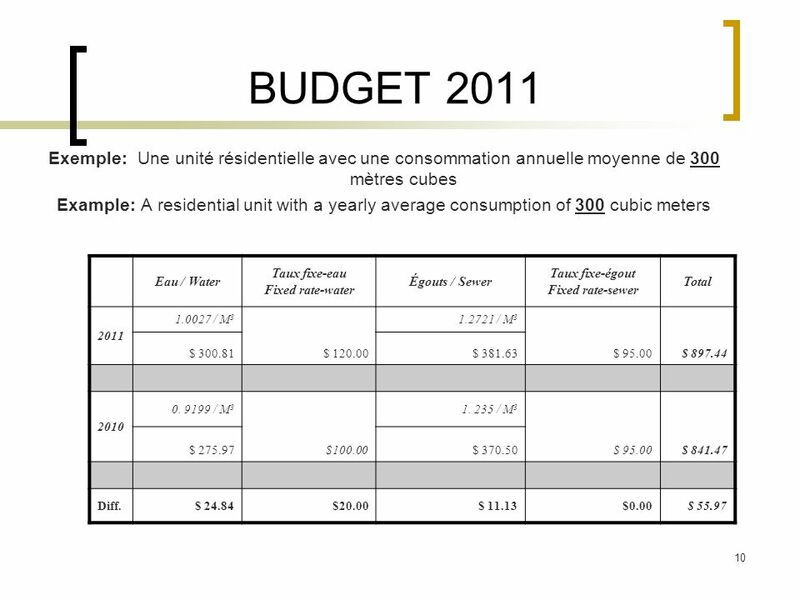 1 GESTION DES DÉCHETS 2011 WASTE MANAGEMENT 2011. 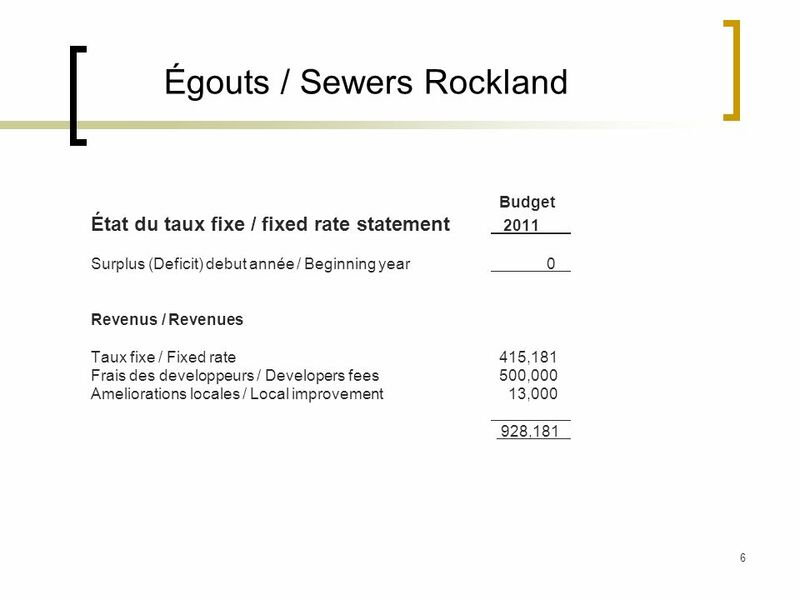 Doubling and Halving. 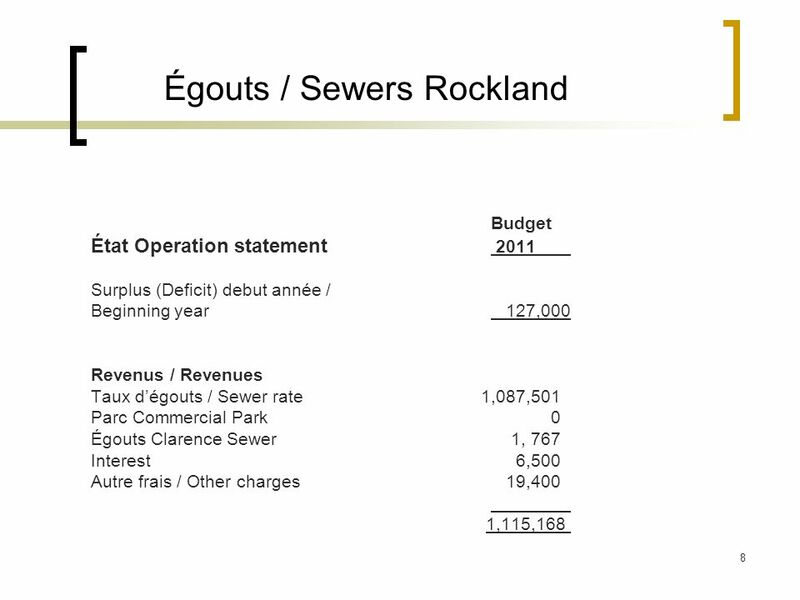 CATEGORY 1 Doubling and Halving with basic facts.